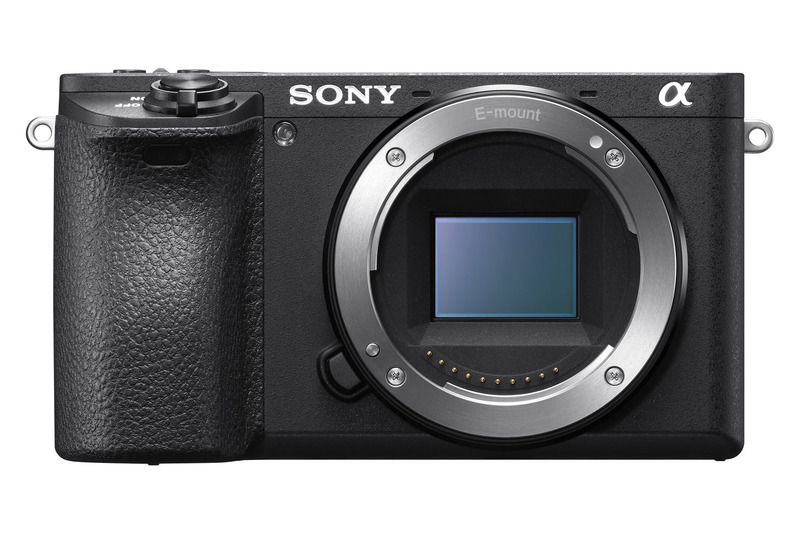 In this detailed guide, we will be providing the recommended settings for the Sony A6500, an advanced interchangeable lens camera designed for enthusiasts and professionals. We will go over some information on what settings are ideal to use for day-to-day photography and videography needs, as well as explain what some of the important settings do in the camera. Since the Sony A6500 has a myriad of settings that can be confusing to understand, the below information is provided as a guide for those who struggle with the camera and just want to get started with a basic understanding of these settings. Before going into the camera menu, let’s first get started on the exterior controls. 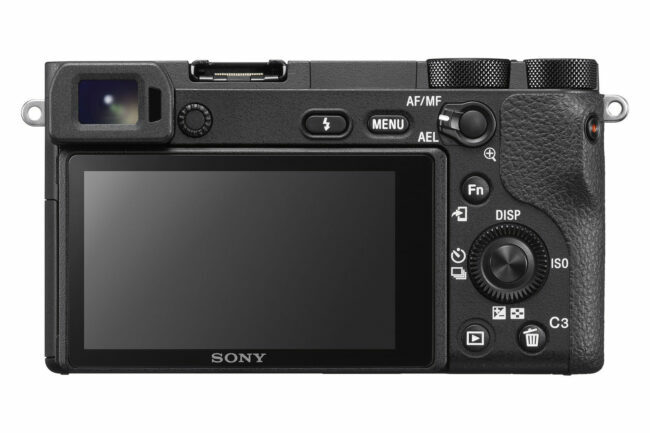 The A6500 has a lot of menu options, but there are some things that you can only control with the external controls. 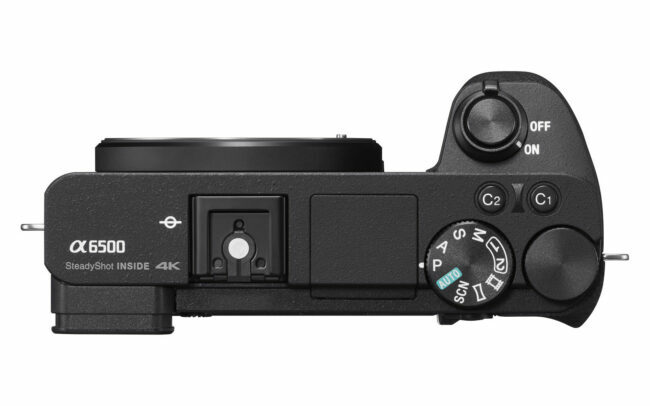 The Sony A6500 has a rather uncluttered top plate. Aside from the hot shoe and camera’s built-in flash, there are only two dials and two function buttons you will be dealing with. The first dial close to the flash unit is the camera mode dial. This is where you set the main camera operating mode, whether it is Program, Aperture Priority, Shutter Priority, Manual, Auto, Scene or Memory Recall modes. As explained in my understanding camera modes article, I usually shoot in Aperture Priority mode, since it gives me control over lens aperture and the camera does the rest of the exposure calculation work, which works really well in most cameras, including the Sony A6500. There are other modes that are specifically used for things like panoramas and movies, but you will rarely ever use those. This leaves three modes that I find to be the most useful on the A6500: Aperture Priority, Manual and Memory Recall. Although the Memory Recall (labeled as “1” and “2” on the dial) mode is targeted at more advanced photographers that want to store settings for different situations, I would encourage every A6500 owner to explore this mode, since it can be very useful when changing from one shooting scenario to another. All you have to do is access the camera menu, as shown in the camera menu below, save your settings in one of the memory banks and you will be good to go. If you don’t want to go that route yet, I would encourage you to try using the Aperture Priority mode instead of the Program Mode, Auto or Scene modes. The right dial is a function dial that can be used for different purposes depending on what mode you are in. In Aperture Priority and Manual modes, for example, the dial is used to adjust lens aperture, while in Shutter Priority mode, it changes the camera shutter speed. Once you set your camera to Aperture Priority mode, you just use this right dial to tweak the lens aperture. The C1 and C2 function buttons next to the camera mode dial by default are used for setting White Balance (C1) and Focus Mode (C2). Personally, I like keeping C2 for changing the focus mode, but I change C1 to “Focus Magnifier”, so that I can instantly zoom in to the scene and verify focus accuracy. This way, I also subconsciously know that the two custom buttons on the camera are used for focus-related operations. Further down in this article, I will walk you through the process of customizing the different custom buttons. At the top right side of the camera you will find the AEL (Auto Exposure Lock) / AF/MF (Autofocus / Manual Focus) switch with a button in the middle. This button is meant to be used in conjunction with the switch and its function changes depending on what you set the switch to. By default, if you keep the switch on AF/MF, the button will perform “AF/MF Control Hold”. While this can be handy for holding the button and rotating the focus ring to make quick focus adjustments (the camera switches to manual focus when the button is pressed), I personally prefer changing this button to “AF On”, so that the button is used purely for acquiring focus – also a very handy way to focus and recompose. When the dial is set to “AEL”, I let the camera hold my exposure, which is the default behavior (AEL hold). This can be useful when shooting manual panoramas, where each image must have the same exposure. We will go through the process of configuring all this further down below. To the right of this switch, almost on the side of the camera, you will find a red button that is used for recording videos. Drive Mode: I mostly keep it at “Single Shooting”, but sometimes switch to Self-Timer when photographing on a tripod to avoid camera vibrations. Focus Mode: The default “AF-A” (Automatic AF, which is a combination of AF-S and AF-C modes) should work well for most scenarios, but if you need to switch to continuous or manual focus, this is where you do it from. Exposure Compensation: 0.0, I prefer to use the rear bottom button on the rotary dial for accessing exposure compensation instead. ISO: Set this one to “ISO Auto”, so that the camera chooses ISO automatically for you. The “ISO Auto” feature works really well and has all the features of modern Auto ISO implementations found on Nikon and Canon DSLRs. I usually leave Minimum ISO at 100, while setting Maximum ISO to 3200 – anything above ISO 3200 is too noisy for my taste. While you can only see the minimum and maximum ISO options within this setting, you can also navigate to the camera menu and set the minimum shutter speed in ISO Auto mode (ISO AUTO Min. SS option in Exposure1 sub-menu). By default, the camera will set the shutter speed using the reciprocal rule, but you can change values from “Slower” all the way to “Faster”, as well as being able to set a particular shutter speed you want to stick to. Flash Mode: Auto. Don’t like using that small pop-up flash! Creative Style: Standard. Don’t bother with creative styles, as they are irrelevant when shooting in RAW. The multi-functional navigation dial on the back of the camera is very useful and can be used to navigate through the camera menu, make quick exposure changes, as well as access specific functions by pressing each of the four corners. “DISP” switches between different views on the camera LCD; “ISO” allows changing camera ISO; the left side is used to access camera drive mode, while the bottom side is for making exposure compensation adjustments. There are two extra buttons beneath the multi-functional navigation dial – Playback and C3 / Trash. Playback is obviously to play back images on the LCD and the C3 / Trash button can be used to delete unwanted images during playback. When the camera is not in Playback mode, the C3 serves as another programmable function key. By default, this button is set to nothing on the A6500, but I changed mine to serve as “ISO AUTO Min. SS”, so that I can make quick adjustments to my minimum shutter speed when using ISO Auto. Again, we will go over the custom button configuration further down below. In all honesty, I do not find Sony’s menu system particularly user-friendly. Although the Sony A6500 adopts the newer menu system from the third generation Sony A7-series cameras, it is still a rather cluttered and out of place menu system. Lots of menu options to go through, with different functions thrown under random menus. Even the menu system of Olympus cameras, which I find to be rather complex to navigate through, is more organized in comparison. Sony really needs to hire a good UI designer to take care of this. Let’s go through each menu setting. Color Space: Although color space does not matter for RAW files, I use AdobeRGB because it gives a slightly more accurate histogram to determine the correct exposure (since the camera shows histogram based on camera-rendered JPEG image, even if you shoot exclusively in RAW). Memory Recall (1 and 2): only available when when MR 1 or MR 2 mode is selected on the top of the camera. Memory (1 and 2): going here will save all the current settings in one of the selected presets. I usually toggle between two presets – for Landscapes and People. For landscapes, I set camera mode to Aperture Priority, Manual Focus, ISO to 100, turn Auto ISO off and turn off other irrelevant settings such as face registration. For portraits, I set the camera to AF-A focus mode, ISO to Auto, and tweak other relevant settings. AF w/ shutter: On – if you want to use the rear focus button and focus and recompose, set it to Off and use the button on the AF/MF dial on the back of the camera, as explained earlier. Eye-Start AF: Off – do not enable this, as it could drain the battery. This setting will automatically detect if you are using the viewfinder and try to focus. And if you put it against your body, the camera will indefinitely try to acquire focus. Focus Magnifier: Used for zooming in while focusing. I set my “C1” button to do this, as explained above. MF Assist: On – a great feature that automatically zooms in when you move the focus ring in manual focus mode. Peaking Level: Mid – focus peaking only works in MF mode. e-Front Curtain Shut. : On. Good idea to keep Electronic Front Curtain Shutter turned On to avoid shutter shock. SteadyShot: On. By default I would recommend to keep this setting On, but if you shoot from a tripod, you should turn SteadyShot Off. Monitor: “No Disp Info”, “Histogram”, “Level” and “For viewfinder” checked. Display All Info is too cluttered and Graphic Display occupies too much of the screen. Finder: “No Disp. Info”, “Histogram” and “Level” checked. FINDER/MONITOR: Auto – will automatically switch between viewfinder and LCD. Custom Button 1: Focus Magnifier. Once you do this, you will be able to use the C1 button to zoom in while focusing. Pressing the same button several times will allow you to zoom in up to 11.7x (pixel level). Custom Button 2: Focus Mode. Dial/Wheel Setup: This is to control what the dials do in Manual Mode. Rear Dial SS, Top Dial F/no. Dial/Wheel Ev Comp: Wheel – since the lens aperture is controlled with the top dial, I like to use the rear dial for exposure compensation. I don’t care for or use these, but if you are planning to transfer images to your smartphone from the camera, this is where you would do it all from. If you are not planning to do that, it might be best to keep “Airplane Mode: On” to save battery life. I don’t usually use any applications, but you can use things like Smart Remote to remotely control the camera. Display Rotation: Off – I don’t like it when the camera flips verticals and ends up with all that dead space – I would rather rotate the camera myself and see the whole image. Yet another excellent article, Nasim … and it’s not limited only to the a6500; the settings you describe apply equally to many other models in Sony’s advanced camera range (a7-series, RX10-series, etc). I mostly use A(perture priority) mode too – but I reckon P(rogram) mode is often under-estimated: ‘cos when used with Program Shift it works like a combo of S(hutter priority) *and* A(perture priority) modes; in that one simply turns the Control Dial to shift between the combinations of shutter speed and aperture for the current exposure … making your choice of emphasis on either shutter speed OR aperture as you review the options. Thanks for your advice re Color Space: I had read elsewhere that using AdobeRGB was useful in providing a more accurate histogram (even when shooting RAW), but I was not confident in that source … so, excellent to have this confirmed by you. For similar reasons, I set DRO / Auto HDR to *Auto* – which I find provides a more accurate histogram for high-contrast scenes (whilst having no effect on the RAW file; as Spencer confirmed in another PL article). I notice you leave Zebra set to Off. I find it useful (when set to 100+) in highlighting areas of the scene that are likely to be over-exposed at the current exposure settings (whilst not taking this too literally, given the higher range capacity of the RAW file#). I use this to review the scene and lock exposure before I recompose and shoot. # I find this method works best with Metering Mode = Multi – as this results in a less “aggressive” response than Spot, or even Centre. I assume another similar approach would be to use Metering Mode = Highlight … Have you had any experience with this option ? On the topic of “locking exposure”, I was intrigued to see you have AEL w/ shutter set to Auto – whereas, I have it set to Off. Interestingly, I found there’s not much difference in implementation: When set to Auto, exposure remains locked once the shutter button is half-pressed – whereas, when set to Off, exposure continues to be monitored as one recomposes (with shutter button half-pressed), with separate ability to AE-Lock as required. A case of “horses for courses” I guess ! Can the C1 and/or C2, be programmed to commence recording. That red button on my a6000 is very difficult to use when stopping recording. Whats your opinion on using Picture profiles for photography?